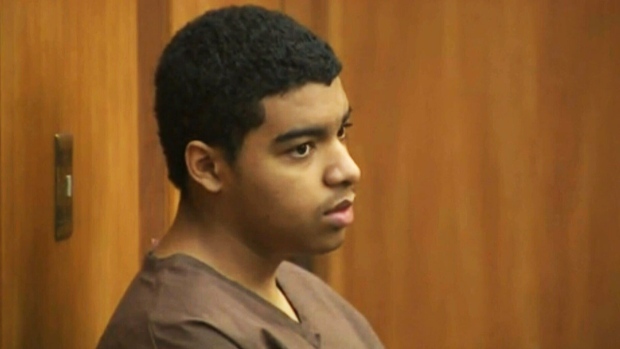 MIAMI - The case of a Canadian diplomat's son charged in a double killing in Miami has been put over for an expected plea deal. After conferring with the judge, the prosecution and the defence said Marc Wabafiyebazu should now be ready to plead Feb. 19. Miami police arrested Wabafiyebazu, of Ottawa, on March 30, 2015, after a shooting that left his 18-year-old brother and another teen dead. Police say the 15-year-old confessed to going with his 18-year-old brother to rob a drug dealer and the robbery went sour. As a result, they charged him with felony first-degree murder, which carries a possible life term. There's no allegation the younger sibling shot or threatened anyone.